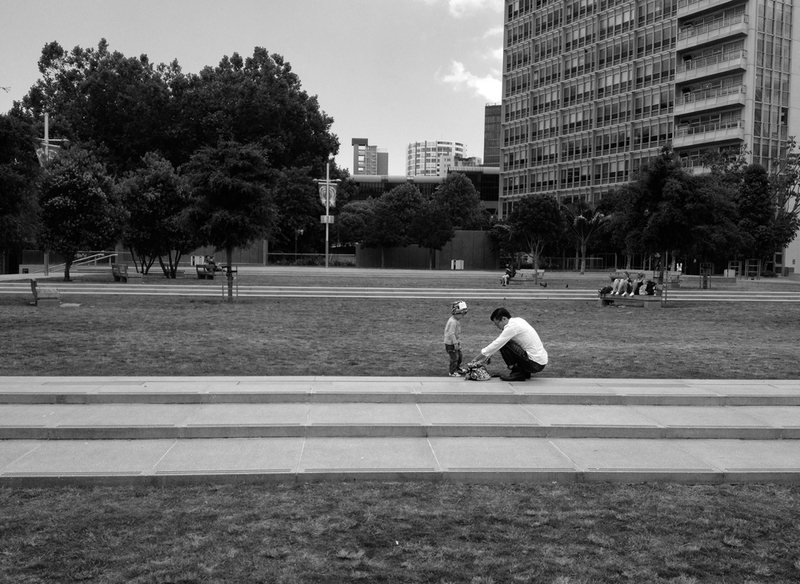 The primary public open space in downtown Auckland, New Zealand, Aotea Square reflects and extends the city's cultural geographies. Three lawns step down to a marae atea, the ritual greeting space of the Maori village. Here tribal groups greet and discuss the issues of the day and greet visitors from afar. 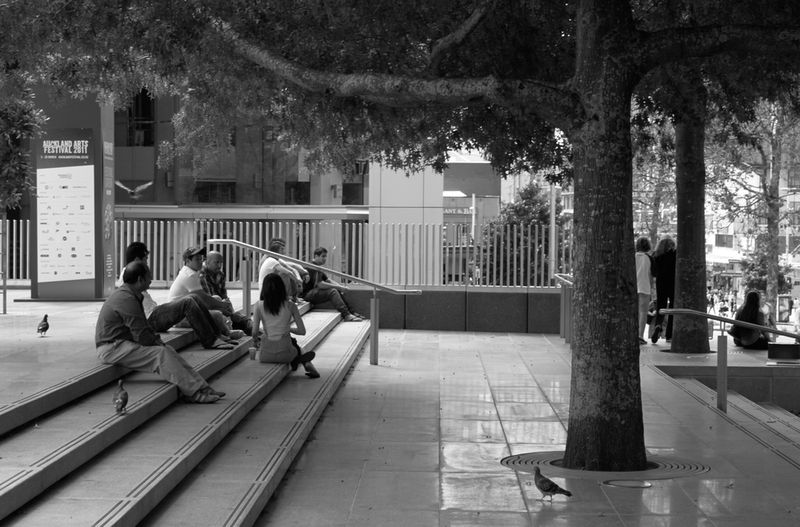 The lawns provide flexible and adaptive event spaces, and informal perching opportunities. 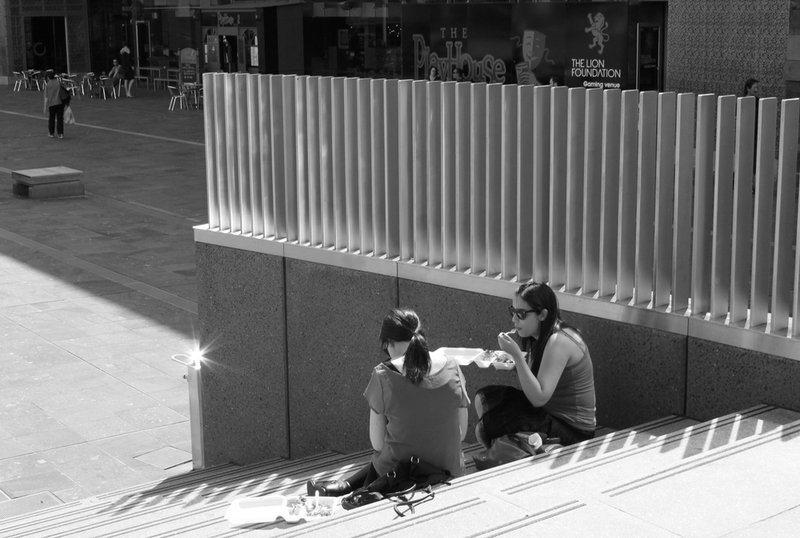 Graphic intersections of vertical and horizontal planes focus the disparate edge conditions and enable moments of quiet encounter right next to main street, on top of an underground parking garage. Once-disconnected zones are now organized into interweaving, free-flowing three-dimensional chambers, ante-chambers, corridors, passages, arcades, transitional spaces and fully-realized large scale urban spatialities.